This affordable instrument, featuring the affordable Nikon quality, is ideal for concrete form alignment, anchor bolt positioning, and steel column erection. 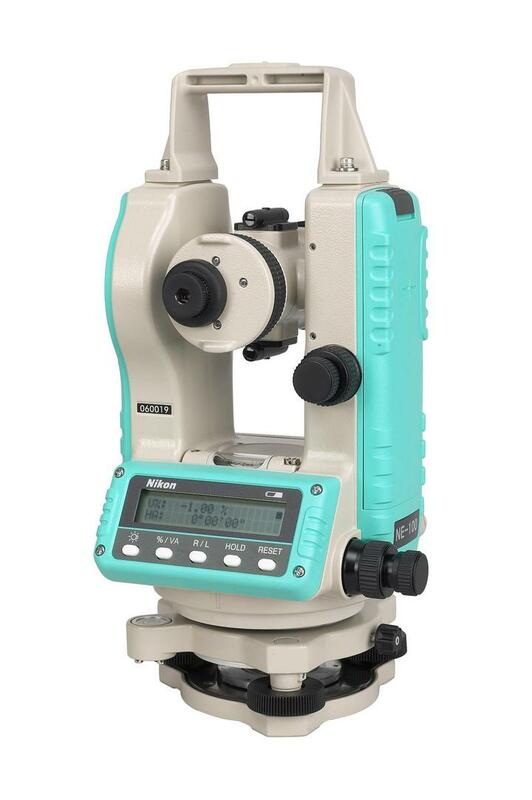 The theodolites enable a number of positioning techniques: 90-degree layout, checking angles, alignment and plumb, as well as short range grade work and leveling. The ergonomic keypad and display provides easy access to the powerful and accurate measurement capabilities of the Nikon NE-100. Large, easy-to-identify buttons provide one button operation for key functions. A large text display area makes information easy to read and use on the job. This design provides for a very short learning curve and utilization within a matter of minutes. 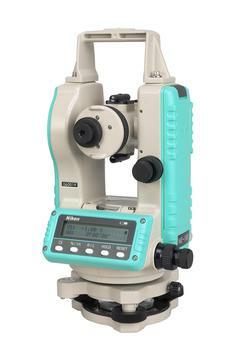 This theodolite is built tough and able to withstand the harsh environments common to many construction job sites. Resistant to water and dust, these rugged units are designed to reduce downtime for repairs.